The precise construction dates of the house once at the southwest corner of Wilshire Boulevard and the west gates of Fremont Place are as yet unclear, but we do know that it was built between 1921 and 1925 by clothing manufacturer Morris Harris and his wife Anna, who were in residence at #21 until the early 1940s. Harris built the extant 10-story building at the southwest corner of Eleventh and Main streets downtown in 1923 for his Union Manufacturing Company; his architect for that project was Harwood Hewitt, known at the time more for his charming residential interpretations of Mediterranean villas featuring distinctive details such as tall cathedral windows. Hewitt had around the same time completed the James Schultz house at 53 Fremont Place on a lot in the subdivision that was around the corner from the site of Harris's #21; Harris's Wilshire-corner parcel had the bonus of the boulevard's cachet, which may or may not have made up for the ever-increasing traffic along it. It appears that Morris Harris may have been acquainted with Schultz, another downtown businessman, one influencing the other to acquire a lot in the gated enclave, with Harwood Hewitt pleasing both of their senses of design, and/or their wives'. According to the Southwest Builder and Contractor of May 28, 1920, Meyer & Holler's Milwaukee Building Company had planned a house at the intersection for Mary Pickford's mother to move to after she decided to leave 129 Fremont Place, but the contract was cancelled. 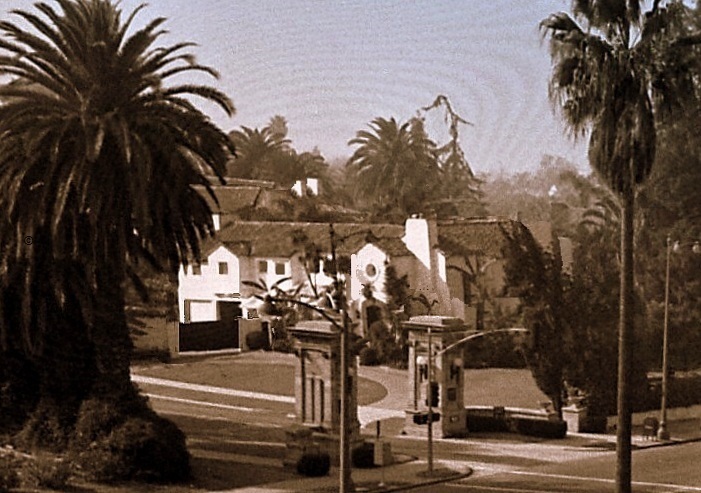 The Harris house that did rise on the corner was another example of the California craze for all things Mediterranean in domestic architecture during the '20s; while it is gone from Fremont Place, it is not forgotten. site, built in 1981 and addressed 4500 Wilshire. A block to the east in Fremont Place a transplanted house, #31, arrived from the northeast Wilshire and Catalina corner in 1924 at just about the time the Harris house would have been completed. There would be other houses arriving in the subdivision from various former locations, such as #70 and #134. The only known house to leave Fremont Place in more or less one piece would be, as the neighborhood evolved, the Morris Harris house. 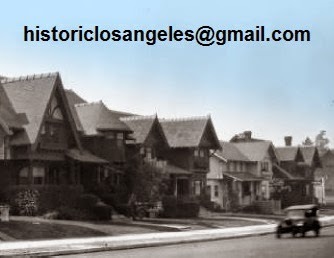 While the residences that were built between Lucerne Boulevard and Muirfield Road with Wilshire frontage were technically on Fremont Place lots, their not being sufficiently behind its gates rendered them less valuable and subject to rezoning for commercial purposes, such as was the lone survivor in situ, 4526 Wilshire. 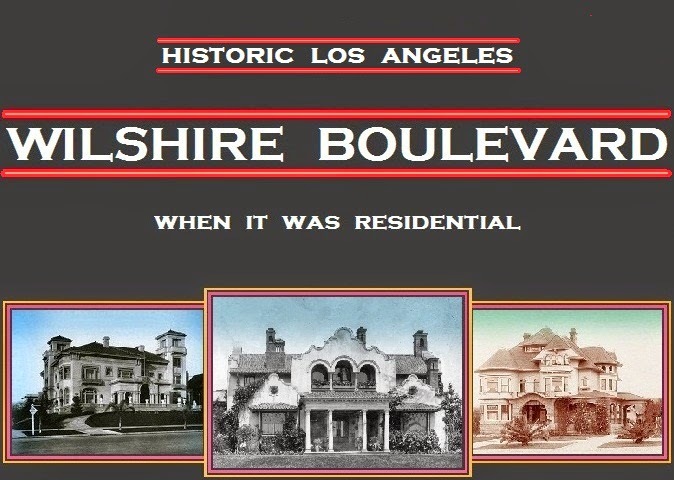 Aside from it, the other Wilshire-fronting houses were demolished, except for #21, which migrated seven blocks due north to the ironically extremely busy southeast corner of Rossmore Avenue and Beverly Boulevard after the Department of Building and Safety issued a relocation permit—which incorrectly sites the house on Lot 10 of the Fremont Place tract rather than on the correct Lot 22—on November 28, 1979. With constant traffic on two sides, a Harwood Hewitt house now sits looking more like a highway-side La Quinta motel than any sort of sophisticated 1920s Southern California architecture. serves as something of an integral Interstate noise barrier.